When Conor was a young seven years old, my younger sister became engaged. (Insert heavenly ♬ ♬ music here.♬♬ ) My mother was thrilled, since Rachel was getting up there in age. I kid, I kid, we were thrilled she finally found a good guy, a real keeper. (Oh vey, the guys she brought home, I could fill a book.) Tom's great. Rachel is in the middle. She's the one with her eyes starting to glaze over. Bachelorette party, need I say more? That's my youngest sister, Leah, on the left. Nanci, my older sister, couldn't make it. We used to tell Rachel that she was adopted since she was the only brunette out of the four of us. I love my family. They love and accept Conor, so much, so totally. But still, at this point, we were well on the autism journey with Conor. 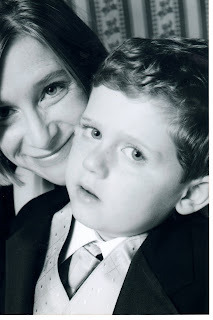 We knew what it meant to try to have a kid with autism in a wedding. Or at the grocery store, for Pete's sake. And we're not talking a wedding in the backyard of my parent's house. It was a wedding, wedding. 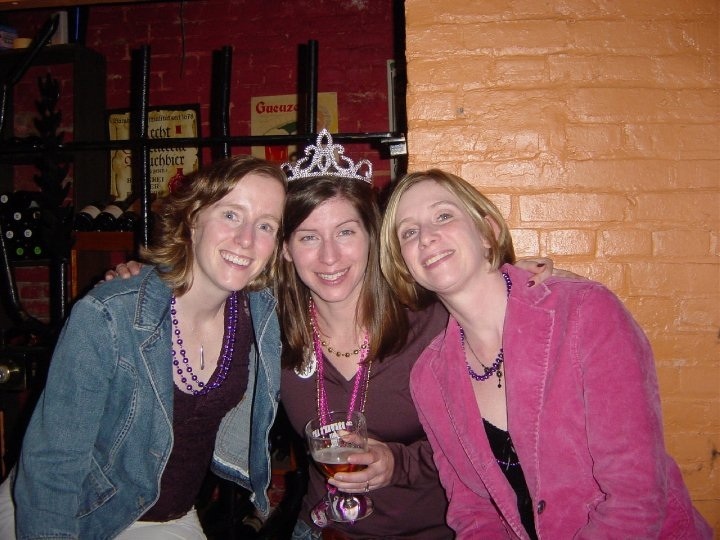 Thankfully, my sister was no bridezilla. But still, the stress, my god. The tuxedo, the guests, my Mom's friends would be there. Need I say more? I can tell you exactly how many hours I slept the night before. Seriously, I still remember. Smartly, I had hired a therapist to come with us, and she would follow him during the reception, but still... would Conor ruin the entire day? My sister is a professional photographer, so, of course, she picked an awesome photographer for her wedding. Here's a MUCH younger me and a MUCH younger Conor. Unfortunately for me (and my husband), I spent the entire night before my sister's wedding worrying... about the wrong kid. 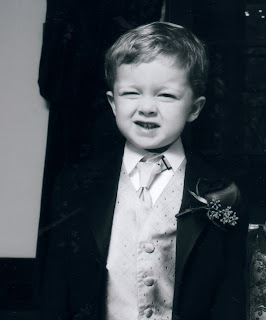 Apparently, my typical four year-old decided that he was going to be the one to act up at my sister's wedding. Are you $#@%^&*^ kidding me? Here is a picture of Aidan, who decided that he was too shy to participate fully in the wedding and this is the picture we get after threatening him with no TV for the rest of his natural life. This is the good picture. Grrrrrrr. You are absolutely right. Anytime we are out - especially at a social event, or worse, a public setting, I worry, worry, worry. And 9 times out of 10, he behaves lovely - I can actually feel proud of him, and look forward to the next event. Thank goodness he saves his tantrums for me in the privacy of our home. and the pictures are both lovely!